In our days there is an urgent problem of road lighting. Every third traffic accident occurs with the participation of a pedestrian. The main reason for such accidents is poor visibility: it's difficult for drivers to notice both pedestrians and pedestrian crossings in the twilight and at night, despite the presence of a road sign. 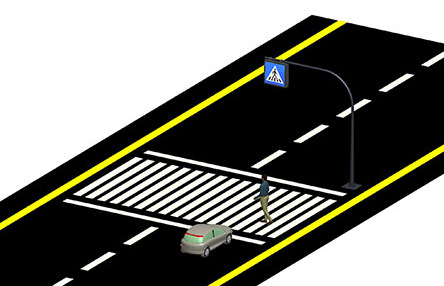 and — most importantly — make the pedestrian crossing noticeable from afar. 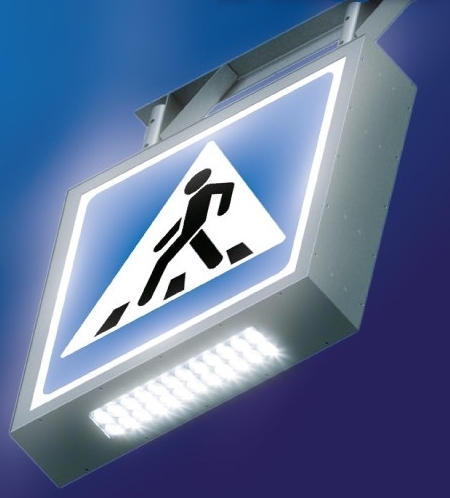 The LED lighting system is a modern means of providing illumination on pedestrian paths, which is comfortable for pedestrians and for drivers. 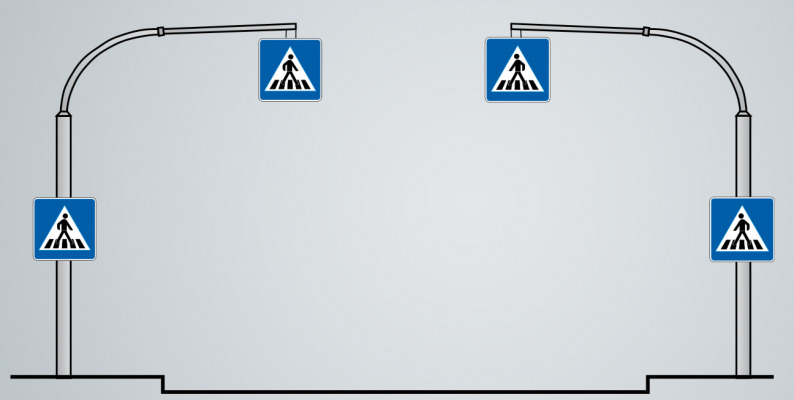 blinding lighting (street lighting is directed towards the driver of the approaching transport). 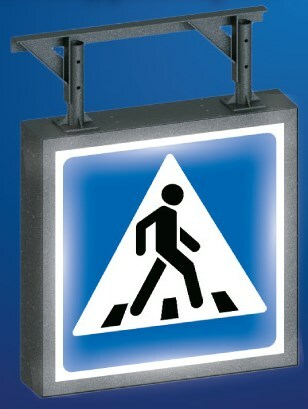 SEA company offers a two-sided sign with LED end illumination for the designation of organized pedestrian crossing of the carriageway. the sign parameters comply with the standards of ДСТУ (National Standards of Ukraine) 4100-2014 (sizes I and II) and ДБН (Building codes) V.2.5-28-2006. In production of SEA LED backlit sign panels for road crosswalks only high-quality materials are used such as Mean Well power supplies, Seoul Semiconductor LEDs, LEDil optics. The operating time of the sign is not less than 60 thousand hours, the installation is possible on a mounting bracket, console or by suspension on the cable. Secondary optics of the built-in lamp allow the sign to provide lighting onto 1-3 lanes. Thanks to the light indication of the sign, the effective illumination of the pedestrian crossing and the pedestrians themselves the number of emergency situations on the site tends to near zero.